Young candidates of the state were waiting for Haryana Police 2019 Notification (हरियाणा पुलिस 2018 नोटिफिकेशन). They want to get the job in state police department. There are various reasons for its pride, prestige, salary etc for such interest in Police Bharti. That’s why they were preparing for Haryana Police Vacancy 2019. Now it’s time has arrived that they try their luck. Each year Haryana Staff Selection Commission selected qualified candidates for this department. This year too HSSC will conduct Haryana Police Bharti 2019 (हरियाणा पुलिस भर्ती). This vacancy will be released afresh. The candidates who have already registered will have to use the old registration id to update their application form. The online application form will start from the last week of March. So stay alert as official notification can be released anytime now. This time the selection method is changed completely. This time number of posts is also quite high. The reason behind it is slow recruitment process in the state. 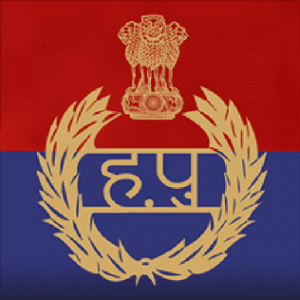 If you want to get complete details of Haryana Police, then read this post with extra care. Here we will guide from start to end process. The commission has made it clear that this vacancy will be completed before the elections. So it is a great opportunity for all students.Haryana Police 2019 Recruitment will soon be made official. Here in this section, you will get basic details of recruitment. Here we will give minor and major information related to this Bharti. You will see the date of release of official vacancy notification, online form filling date, last date to apply, no of Posts in Haryana Police Recruitment 2019. Other things those we will provide in this table will be category wise number of posts, mode of exam, expected paper date and vacancy schedule. We will update this table on regular basis to give to the latest information. Hence you are advised to keep checking our website. Latest Update (24 Jan 2019): Haryana Police Notification for 7000 posts will be released in the upcoming few days. Candidates those filled online form in previous Haryana Police Constable Recruitment are still waiting for written test. Govt is delaying this recruitment process. We can even say that after filling online form, nothing happened. Candidates also getting news that 6000 posts are also coming soon. For covering these posts, govt may revise previous notification. We will inform you whenever any official news will be there regarding Haryana Constable Recruitment 2019. Till then you can below given available information. You must check Haryana Police New Selection Process 2019 before starting preparation. 10+2 Passed from any recognized Board or Similar Qualification. Age Limit (For SI Posts): 21-27 Years for both male & female candidates. Important Note: Age relaxation will be available as per reservation rules and category of candidate. How to Fill Haryana Police 2019 Online Form ? Candidates those want to apply for Haryana Police, need to apply online. Here we have given a step by step method. It will give you basic idea of application. You just need to keep your details ready for entering in Haryana Police 2019 Application form. You need to read rules and regulations given there before starting form filling. First of all, aspirants need to go to official site of commission. Direct Link of aayog‘s official website is given at the end. Here you will see latest news on the home page. You have to go to latest Haryana Police recruitment news. You will be guided to recruitment website. If you are a fresh candidate, then you have to register first. Some basic details will be asked to enter. Fill correct phone number and email id, because you will need same at later stage. You may also get email having similar information on registered Mail ID. Note down both for future use. Now you have to login again to open Haryana Police form. Fill your exact details after crosschecking from documents. Submit form after successful payment of fee. Take a printout of submitted online form. Note: Category wise details will be revealed very soon. Candidates those know about Haryana Police New Selection Process, had already started reading for written stage. You all know that this 1st stage contains more than 80 % weightage of whole merit list. If you loose more marks here, you will not able to cover it up in any stage. Candidates must have to study stricly as per Haryana Police Paper Pattern 2018. The new modified selection procedure will be mentioned in the official notification. We have already shared all the details regarding it in this article. So you have to wait for the official notification. Soon we will get to know whether the selection process will be changed or not. The court case will decide the future course of this vacancy. We are expecting that the selection procedure will be changes. Candidates those are busy in preparation, must check this table once. Here we have given very collective information. After reading this you will get exact idea of Haryana Police Paper Pattern. All doubts will be cleared and you will be able to perform better. Aptitude, Job Relevant / trade etc. Note: The full syllabus for each subject is given in the below passage. At present commission has not given any fixed date for paper. Whenever the Exam will be held you will be informed well in advance. Commission will upload Haryana Police Paper Date on its website. Our team is forever ready to help you. We will inform you whenever official news of written exam is announced by HSSC. You can check same in above given table. Right now you just need to remember the exact exam pattern & paper syllabus. It is given in the next section of this post. The exam will be conducted in the upcoming month of 2018. The written exam for the post of Constable will be conducted in the last week of June and that of SI will be held in the last week of July. The last date to fill the online application form is very near. Soon after it, the date of the written examination will be declared. It will be available to the candidates in the first few days of the next month. Here go to login section. Fill your USER ID and Password. Your account this open when you enter submit button. Here you will be able to generate Haryana Police Hall Ticket. Take two printouts of same for showing at exam center. Keep 2nd printout as a backup for future use. Candidates those appear in written examination, will be interested in knowing their arks as soon as possible. Our team is ready to help you in this purpose. We will try to provide you Haryana Police Paper Answer Key, so that you check your question from it. We will try to keep it error free. But still there is chance of some few doubtful answers. Hence you must crosscheck your score using Haryana Police Official Answer Key. It will be released within few days of written exam. Candidates have to visit official website of HSSC for this. Your OMR sheets will also be check according to Haryana Constable Answer Key. It will be given in various code. Hence check it first for avoiding error. Candidates those appear in sub inspector exam, must keep their paper safe. You will need same while checking Haryana SI Answer Key. It will help you know your marks. The answer key will be provided to candidates in the first few days of the month July. Candidates those sit in written stage, know one thing very well. There will be a fixed qualifying marks level. Candidates those score more than this Haryana Constable Cutoff Marks, will only reach to next stage of bharti process. It will be different for each category. Hence you have to keep your score as high as possible. Don’t leave any weak point in your preparation. Written marks have more weightage than any other level of recruitment process. Hence check Haryana SI Cutoff Marks on regular basis. The cutoff marks will be declared very soon. The officials will take at least one more month to prepare the merit list. The cutoff list will be released in the month of August 2018. Candidates will get paper result after two months of conducting exam. Commission will crosscheck OMR sheets of all candidates strictly according to official paper key. You will get Haryana Constable Result in the form of list. It will be list of written qualified candidates only. Your score will not be shown in this list. You will get that at later stage. Here you will only get information about next stage. Right now, you must not focus on Haryana SI Result only. You will be not get enough time later for preparing for PET/PMT test. Start practice right now. The result will be declared in the upcoming month of August 2018. The written exam result will be declared in the next month itself. The final result for the above post will be released in the month of Nov 2018. Soon after the candidates will be called for joining. Now you all know that state government has changed selection procedure of police recruitment. Now only candidates that passed written exam will see Haryana Constable Physical stage. You have to pass this stage too. It will be only of qualifying nature. It simply means, there you will not get any marks in this stage. You have to just pass all Haryana SI Physical. There is minimum fixed standard for both male and female candidates. You can check Haryana Police Physical Standards on our website. The candidates will soon get the call letter for the physical test. Candidates those pass all procedure of physical test, will be asked to show their original document. You will get information related to Haryana Constable Document Checking well in advance. You have to keep them ready and handy. You may be asked to bring attested photo copies of few documents. hence read all the instructions given to you or announced to your before, during and after physical. The date for the document verification will be provided to candidates very soon. The candidates will issue call letter for it. We will provide you the link to download it here in this section. The document verification will be the final phase of the selection procedure. So it is really important for all of the candidates. Candidates those pass written exam and appeared in PST/PMT test will be waiting for final list. We would like to tell you that Haryana Police Final Result will be decided with this merit list. If you got your name in this list, then you will join police department. There may be waiting list too for some candidates. But this totally depends on number of qualified candidates. If you want to download Haryana Constable Merit List, then you have to follow similar process as given above. This list will again carry roll number of selected candidates and marks of last qualified candidate from each category. The procedure to download the final result will soon be updated here on this page. We have also provided you the direct link to download your result. This link will take you to the official website directly. You will be able to download the result from here easily. The commission has recently published the official notification here. We will give you all information here. We are making sure that this news reach out to all the candidates. The final result for this post will be released before the end of this year. The last date to fill the online application form is tomorrow. So fill the application form if you want to appear for the selection procedure. The selection procedure will soon start for this vacancy. The final merit list will be prepared on the basis of the candidates performance in the written exam as well as the additional marks.